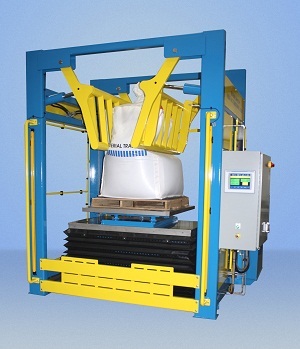 Home » Manufacturer » Material Transfer & Storage Inc.
Material Transfer is an industry leader in the custom design and manufacture of material handling equipment and systems for the powder bulk industry. Our combination of application focused engineering, award winning designs, and exclusive features result in equipment that offers class leading quality, value, performance, durability, and ease of use. We form a responsive partnership with our customers, and then apply our extensive experience, technology, and flexibility to provide custom designed solutions to each customer’s specific material handling challenge. Many Fortune 500 companies rely on our equipment to introduce product to their process, or package their finished product. 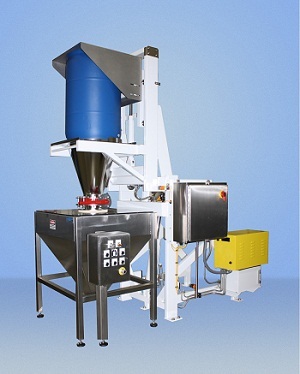 Our product line includes custom designed Container and Drum Discharging Systems, Bulk Bag Discharging Systems, Bulk Bag Conditioning Systems, Bulk Bag Filling Systems, Box Filling Systems, and Drum Filling Systems. 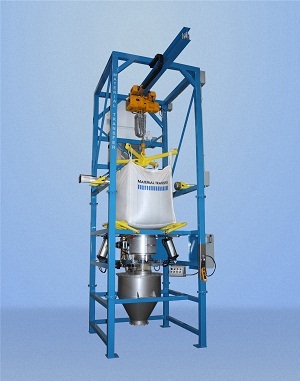 Our Lift & Seal™ Container and Drum Discharging units and modular Bulk Bag Dischargers provide dust-tight product discharge.